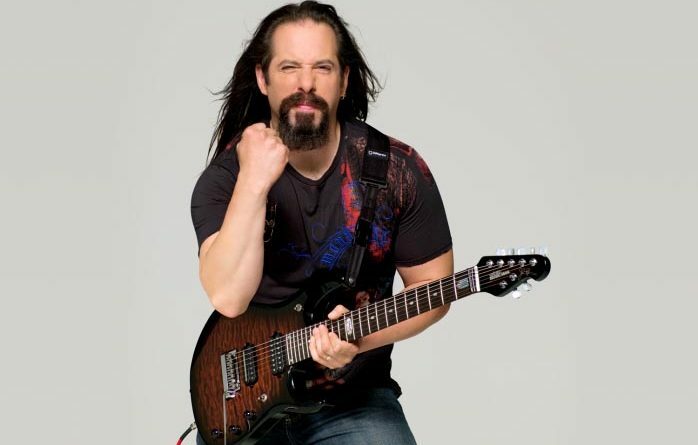 By 2009, Dream Theater’s John Petrucci was already deep into taking on Phil Collen as the DiMarzio player with the biggest pecs. 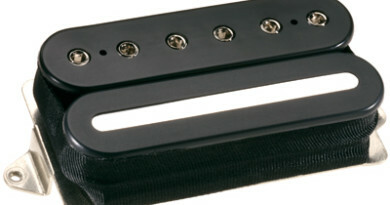 But Petrucci did take enough time away from the gym to knock out his first signature set of pickups. The Crunch Lab bridge and the Liquifire neck humbuckers. Prior to this set, Petrucci was pretty much using the Steve’s Special in the bridge and the Air Norton in the neck. Some DiMarzio aficionados can most likely see the similarity of the Liquifire and the Air Norton. The Crunch Lab is a little different, in that appearances and the numbers might have some thinking a similarity to the D Sonic or maybe the MegaDrive. But it’s not. And that’s a recurring theme that I find among the DiMarzio menu. Things aren’t always what they seem. Remember, this is the same company that proves that DCR ≠ output. For full disclosure, the LiquiFire is one of the first neck options I tried to address the notorious neck position in a Les Paul. It was a suggestion that fell flat for my personal needs. So it really sat around collecting dust. When an opportunity came to pair it up with the Crunch Lab, the role of the LiquiFire makes much more sense. To change it up a little, I put this set in a double-hum mahogany shred stick with a trem, maple neck and maple board. Using 500k Bourns push-pull pots, each pickup is wired for series-parallel operation. It’s tuned to E standard, using 10-46 gauge strings. There is a little to unpack with the Crunch Lab and LiquiFire pickups. They can be a little open and they can be a little tight. They can have an edgy bite and they can have a strong presence. I think the hallmarks would be the fluid character and the natural compression. If you’re into progressive metal, a thick lead tone and a precise rhythm character can be a pretty big deal. And on a dirty amp tone, that is what you’ll get from the Crunch Lab and the LiquiFire. So, yeah, essentially what the names suggest. LOL! Picking styles and overall right hand technique go a long way with this set. Hit a chord hard, and it’s going to clamp down. Strum it lightly and it will open up. Dig in strongly to a note and it will bite. Go for some legato and the sound will be smooth and velvety. The Crunch Lab and the LiquiFire are sort of loud humbuckers. 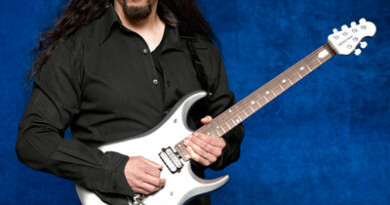 Petrucci uses a pretty complex on-board switching system and a piezo to blend in for his clean tones. You can mix it up with some fancy switching options such as split and/or parallel. Or you can give the amp’s clean channel a little tweak. I do have to say that the middle toggle position with both pickup in parallel revealed some pretty darned nice clean tones. Here’s a cool video of Petrucci in the studio, talking about gear and playing a bit. This is from when the Crunch Lab and the LiquiFire were new releases. If you’re looking for some specs, you’ve come to the right place! HaHa! A big deal when revisiting the LiquiFire again was how well it works when paired with the Crunch Lab. Not saying the complete set would have cured what was ailing that Les Paul! LOL! But I’d rate it as a solid fit for your garden variety double-hum gitfiddles. 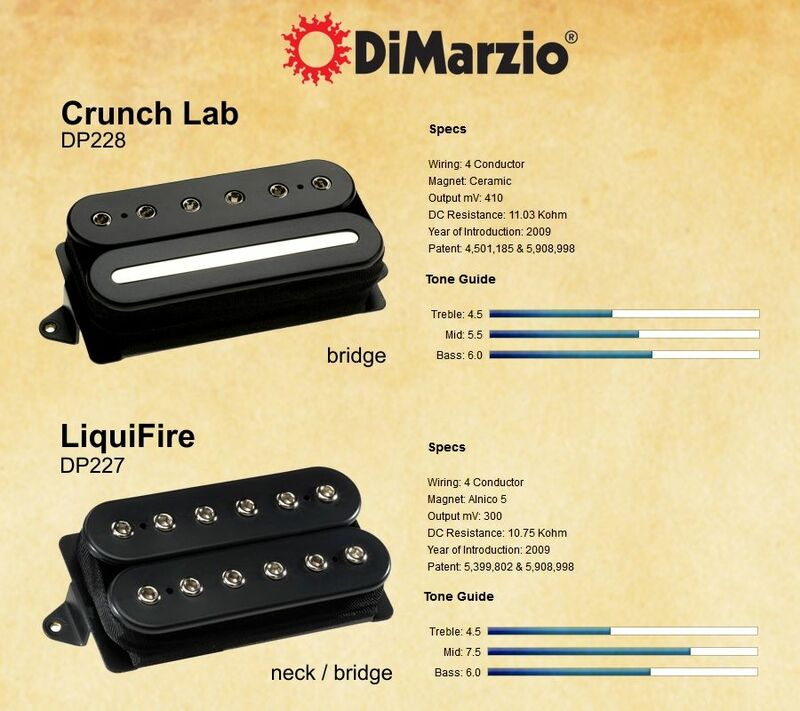 As with most DiMarzio, the Crunch Lab and the LiquiFire are available in a wide range of colors. Oddly, all the zebra options on the DiMarzio site keep the screw bobbin black while changing the bar bobbin. HaHa! But you do get both pole spacing options on both pickups, and pole/bar selections include black, chrome, and gold. 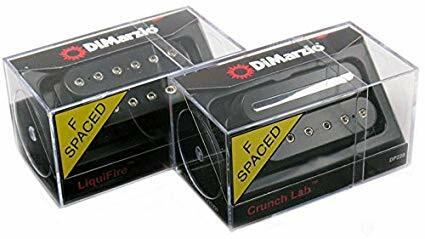 For reference, this DiMarzio Crunch Lab DP228 and LiquiFire DP227 humbucker pickup set evaluation was conducted with a Fractal Axe-Fx II XL+ featuring Celestion Impluse Responses and Fractal MFC-101 MIDI Foot Controller. Real cabs used were Marshall 1960B cabs loaded with Celestion G12-65s, Vintage 30s and G12M Greenbacks.